I have become increasingly disappointed by YBD, this month is no different and I think it might be my last box from them. I like the idea of picking some of your samples but the selection is often quite poor and you get little bang for your buck. 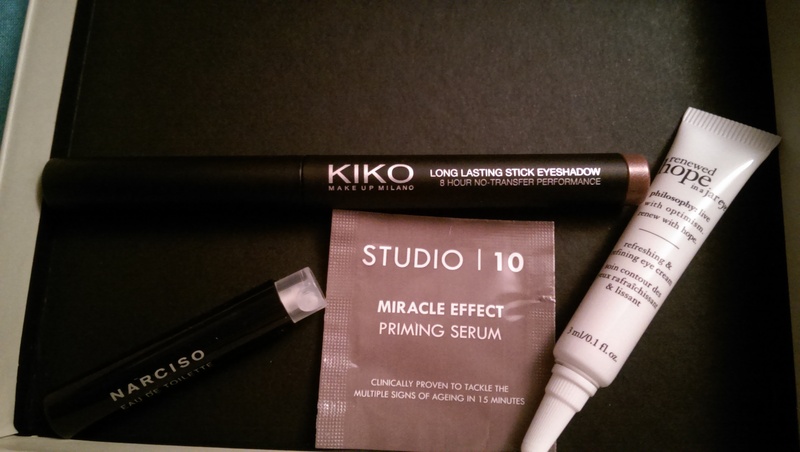 Yes, it’s possibly the cheapest beauty box out there but does that mean it should be lacking? Philosophy renewed hope in a jar eye cream – or rather a tiny tube. My under eye shadows are rather dark and tired looking at the moment, insomnia does that, and I thought I might road test an eye cream or two. I’ve heard good things about this one. Just a shame it’s such a teeny sample. 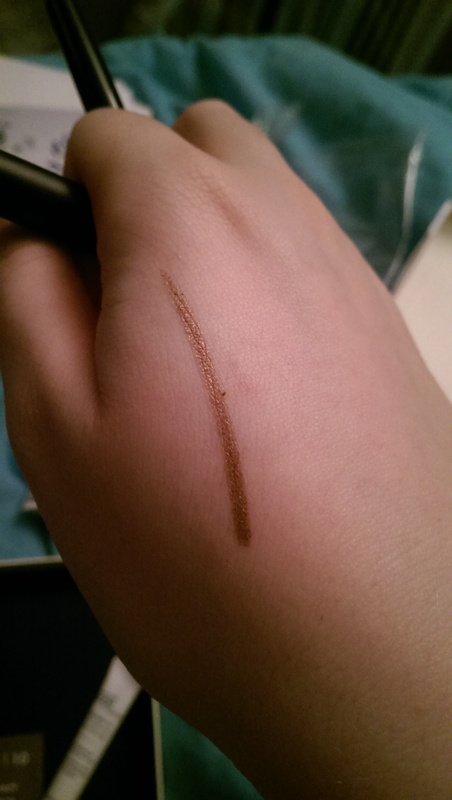 Kilo Long Lasting Stick 8 Hour No-Transfer Eye shadow in 05 – a gold shimmer eye shadow crayon, and you know I love an easy to apply make up item. 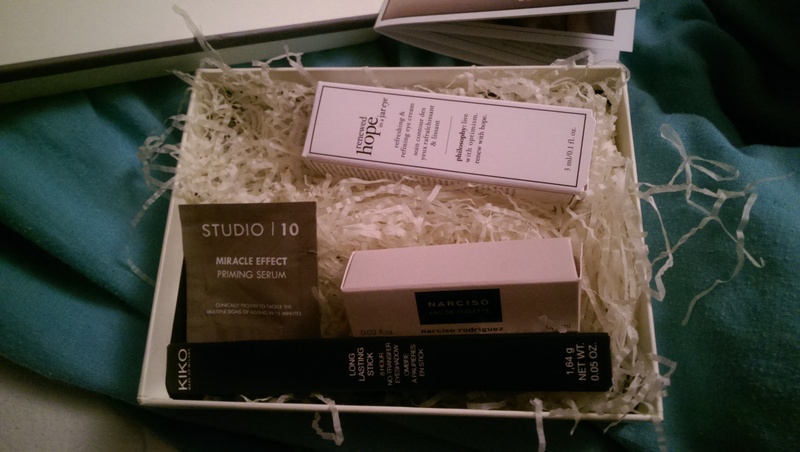 The extra samples they threw into the box are a tiny sachet of Studio 10 Miracle Effect Priming Serum and Narciso Rodriguez Narciso Eau de Toilette spritz sample bottle. I dont think there’s enough primer in the sachet for one human sized face, except if you were for some insane reason, making up a baby (they have little faces mostly) but not for an adult. I have a problem with sending out perfume samples – scent is highly selective, what one person loves and smells amazing on their skin, may not work with anyone else. This mostly smells of alcohol to me. Not nice. Overall a bit underwhelming. Time to bid adios to this box I think and move on. Anyone else cancelling beauty boxes they’ve been disappointed by? I totally get what you mean! My box came yesterday and I was left underwhelmed all over again!